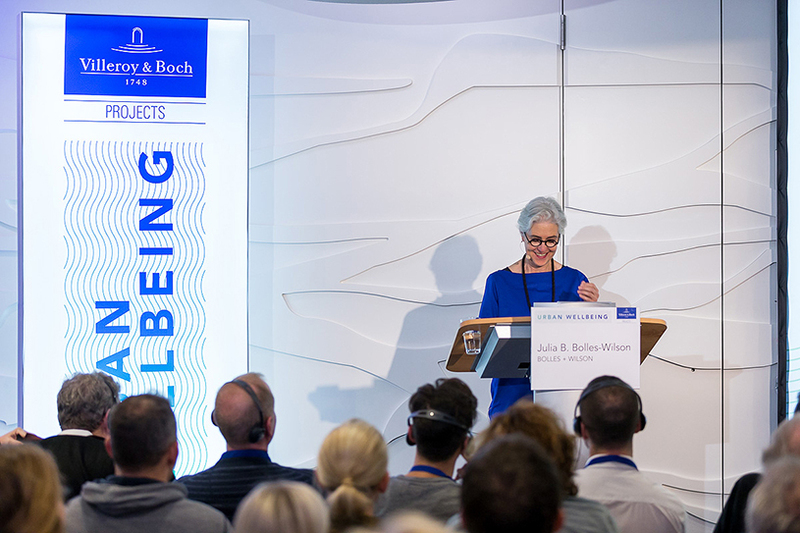 In October Julia B. Bolles-Wilson lectured on vertical living on the Cinnamon Tower and the Suzuki House at the »Urban Wellbeing« conference in Hamburg’s Elbphilharmonie, an event organized by Villeroy & Boch in cooperation with Heinze GmbH. That same week she and artist Prof. Tony Cragg discoursed at the Academy of Science and Art (North Rhine-Westphalia) in Düsseldorf. 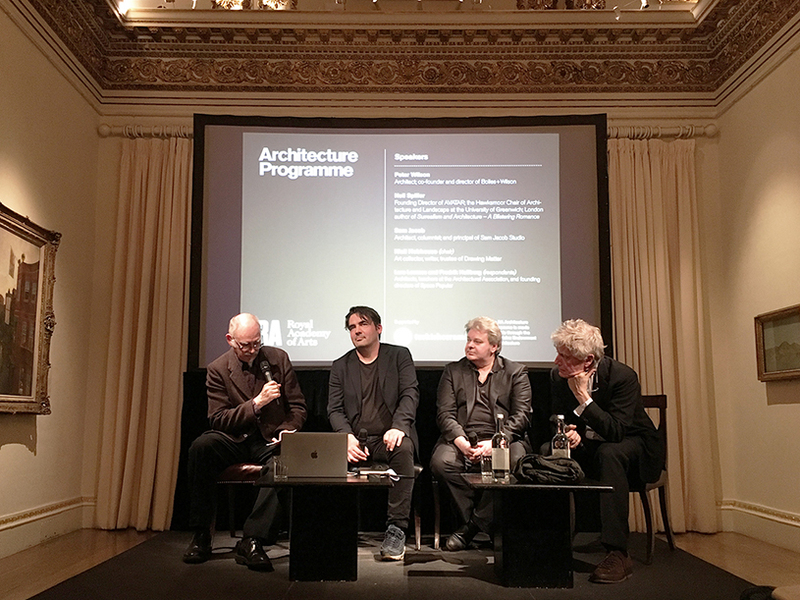 Prof. Andreas Denk moderated, the theme was a thorny one »Is architecture art?« . Tony Cragg blew hard against the thesis. On 6th of October Peter Wilson was a panelist at London’s Royal Academy. The subject, a spin-off from the current Dalí – Duchamp exhibition, was »architectural fictions and other stories«. As Niall Hobhouse in the chair pointed out – all architecture is fiction before it materializes. Neil Spiller advocated an architecture that remains fictional and in the orbit of its author. Sam Jacob took the subject to its graphic and linguistic limit. While Peter L. Wilson who was introduced as the senior citizen of the panel, preferred »counterfactual histories« – to fiction. He illustrated his position with figurative and decidedly material examples from his earlier and current work (theatre building in Korça, Albania).